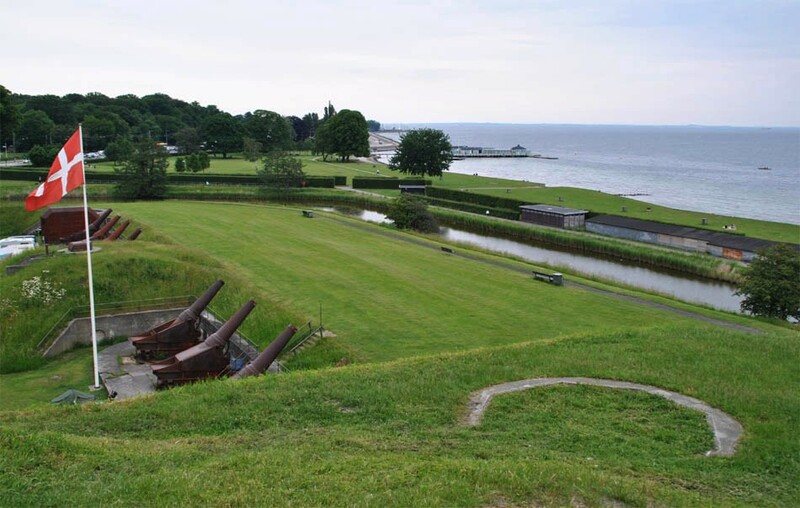 The Charlottenlund Fortress was built in the mid 1880's as a part of the fortification to protect Copenhagen. 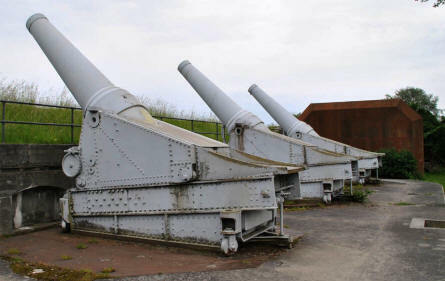 Today there is a camping site and a restaurant on the ground of the fortress and it is no longer an active military installation - even the guns are still in place. 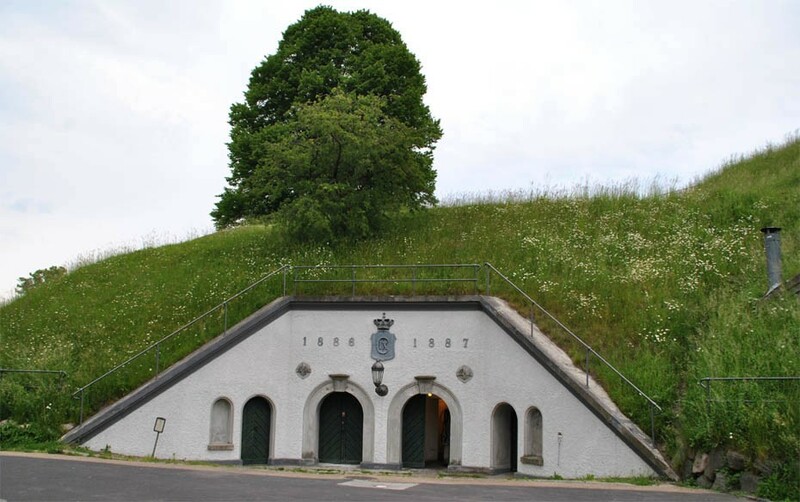 One of the entrances to the Charlottenlund Fortress. Some of the big canons at the Charlottenlund Fortress. Some of the canons at the Charlottenlund Fortress seen from the top of the fortress. 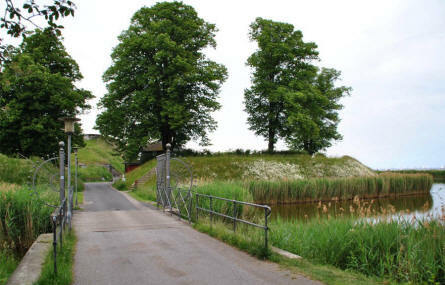 The old ammunition depot at the Charlottenlund Fortress. 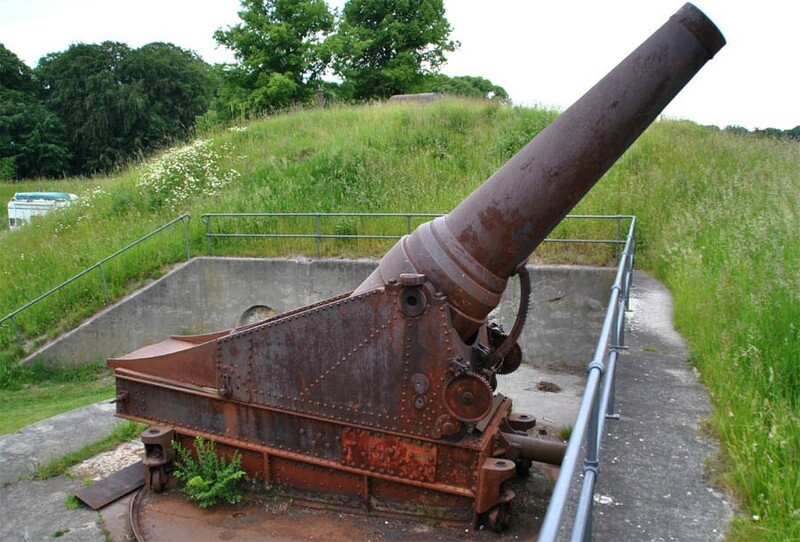 One of the big canons at the Charlottenlund Fortress. 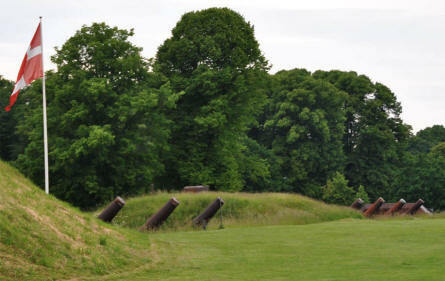 Some of the canons at the Charlottenlund Fortress seen from the sea side.